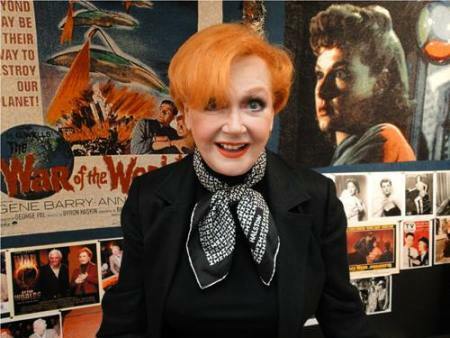 This is a rare opportunity to get an autograph in person—before or after the screening—from Ann Robinson a bona-fide Hollywood movie star! She is best known for The War of the Worlds and Dragnet in which she starred as a Los Angeles police officer opposite Jack Webb and Ben Alexander. Ann will also offer an historical Q&A about her life and acting career. Autographs from Ann are $25.00. All “selfie” photographs taken with Ann will be $20.00. Your Regent Ticket includes FREE admission to Northeast Comic Con-March 15-17! A rising star in Hollywood in 1953, actress Ann Robinson won the lead role in the genre and trend setting George Pal science fiction motion picture of H.G. Wells’ The War of the Worlds. Today, at 90 years old, she still loves traveling the country and meeting fans at autograph conventions. Ann will be appearing at her first event in New England on March 15-17 at the NorthEast ComicCon & Collectibles Extravaganza at the Regency Hotel & Conference Center in Boxboro, MA. Growing up in the proverbial shadow of the studios, California native Ann Robinson acted in grade-school plays. She later fibbed her way into the movie business as a stunt woman on movies such as Black Midnight (1949), The Story of Molly X (1949), and Frenchie(1950). Ann was part of Paramount’s golden circle of new stars in the early 1950s, but had only one leading role at the studio, in producer George Pal‘s The War of the Worlds(1953). She went on to break new territory portraying Police Officer Grace Downey opposite Jack Webb in the original 1954 film Dragnet. Ann Robinson appeared in numerous television programs during the Golden Age of TV including Rocky Jones Space Ranger, Fury, The Bob Cummings Show, Cheyenne, Bachelor Father, Rawhide, Alfred Hitchcock Presents, Death Valley Days, and the TV version of War of the Worlds, along with so many more. In 1957, Ann ran off to Mexico to marry a famous matador, Jaime Bravo (...as she recalls it “...and blow my career right out of the water!”) Their son, Jaime Jr., became a director with ABC Sports and has won several Emmy awards. Her son Estaphan assists Ann at the shows she attends. 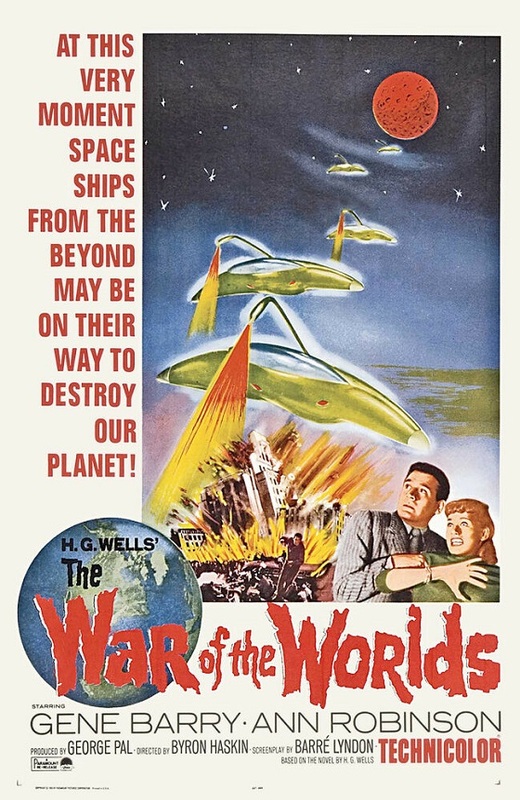 The War of the Worlds (also known in promotional material as H. G. Wells’ The War of the Worlds) is a 1953 American Technicolor science fiction drama film from Paramount Pictures, produced by George Pal, directed by Byron Haskin, and starring Gene Barry and Ann Robinson.